Have you ever had your hands covered in cake mixture, or maybe you’ve been cutting raw chicken, and you need to use your kitchen faucet but don’t want to get it dirty? This is where having the best touchless kitchen faucet comes in handy. You can use your kitchen faucet, without spreading the mess from your hands! Using a touchless kitchen faucet makes your time in the kitchen much easier and more efficient. It’s also easier for younger kids to use the faucet- there’s no need to turn the handle! 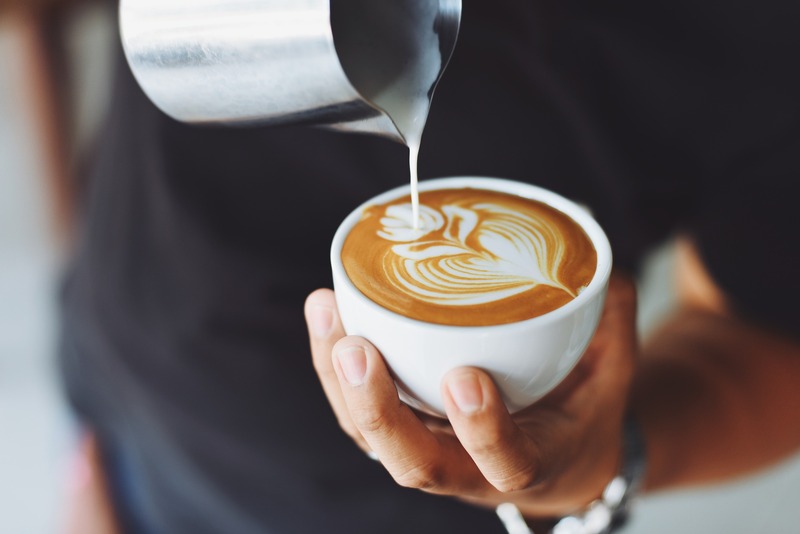 Whether you call it a touchless, hands-free, motion sensor or no-touch faucet, we have researched and reviewed the best touchless kitchen faucets for 2019. 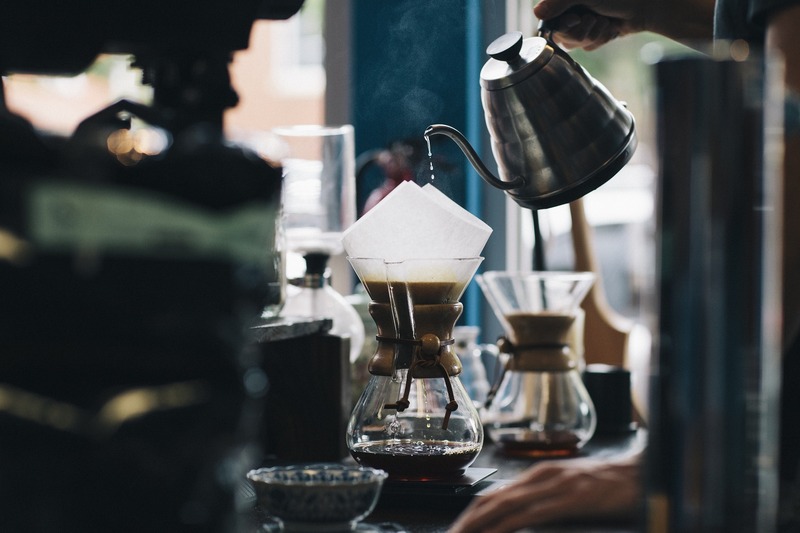 Have a read of our list and see which one would look great in your kitchen! 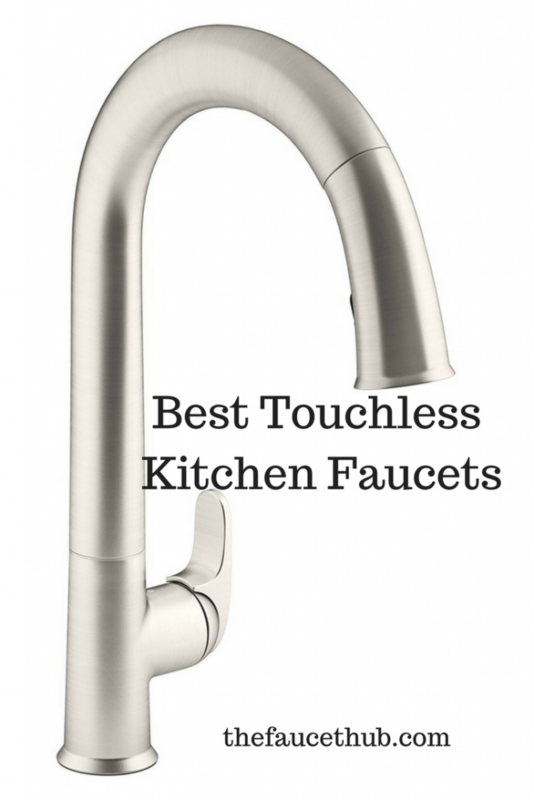 So which touchless kitchen faucets made our top list? Here is a summary of our best touchless kitchen faucets, with links for further reviews or to make a purchase. 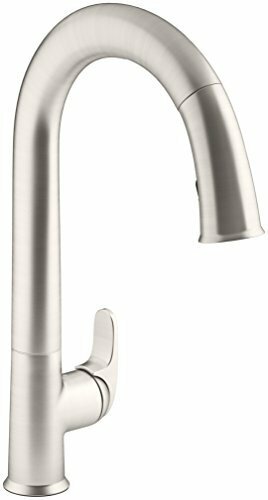 The Moen 7594ESRS Arbor with Motionsense is a high quality, advanced kitchen faucet. 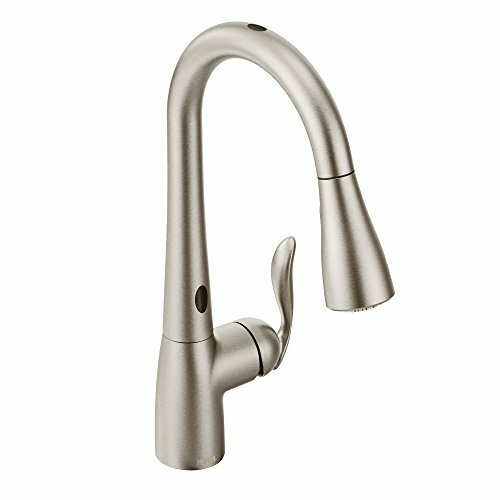 If you’re shopping around for the best touchless kitchen faucet, then the Moen Arbor should be high on your list. 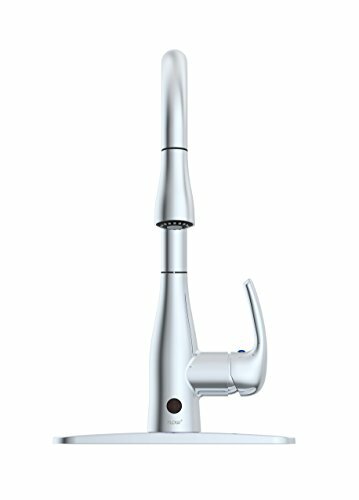 It features a spot resist stainless steel finish, perfect for preventing fingerprints and water spots on the faucet. The Motionsense feature gives you hands-free convenience. There are two advanced sensors at the top and base of the faucet. Simply move your hand across either sensor and this will trigger the flow of water. This is so easy and handy when you have your hands full, or when you’re in a hurry! It also prevents the spread of germs and bacteria when cooking raw meat. The Moen Arbor offers two different spray patterns, and you can choose depending on what you’re washing. Just flick a switch to toggle between the two different options. 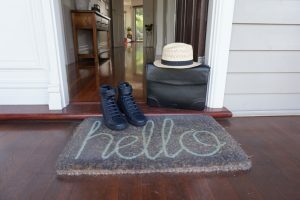 Have sticky food stains to remove? Choose the powerful rinse option known as Power Clean Technology. This option gives a higher water pressure to help you clean off tough food stains, but without splashing water everywhere. For everyday simple washing, you can use the steady aerated stream. We love that the Moen Arbor uses a “Reflex” system so you can manoeuvre the faucet with ease. After use, the hose automatically returns to its original position and is docked securely and smoothly. The hose length is 68 inches, giving you freedom when manoeuvring the faucet. 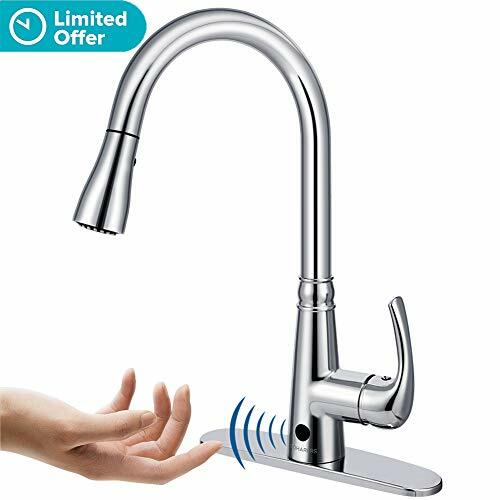 If you’re installing the touchless kitchen faucet yourself, you’ll be glad to know that the Moen has been designed with a quick connect system known as Duralock. In fact, you won’t need tools to install the faucet. This makes installation a breeze. Duralock means that the water lines are able to be securely connecting using only one fast step. The kitchen faucet is designed to be installed through 1 or 3 holes. An escutcheon is also included (this is the metal piece that conceals the hole in the countertop). A great seller is the Kohler K-72218-VS “Sensate” touchless kitchen faucet, which is a modern and stylish choice. It has a sleek design and is perfect for modern, high-end kitchens. The Kohler uses intuitive response technology so that a simple wave of your hand (or a utensil or pan) allows the faucet to turn on and off. The Sensate sensor’s reliable and avoids false activations. If you’re worried about how long it takes for the Sensate to respond, you’ll be happy to know it responds in 20 milliseconds. Wave your hand, a pot or a pan past the sensor window and the faucet will turn on and off. The Sensate window is at the underside of the spout and is around six inches. There’s an LED light at the base of the faucet that lets you know that the Sensate is operational, and it also has an auto shut-off feature. Unlike other touchless kitchen faucets, the Kohler operates via AC power, so no batteries are needed. If there’s a power outage, you can use the faucet manually. To change the water temperature, just use the handle while you’re using the faucet. This makes cleaning up after cooking so easy. No raw food or ingredients all over your faucet and sink! This means less cleaning for you, but also keeps your kitchen hygienic. It’s also easy for kids to use, sometimes kids can struggle turning on a faucet. When you’re washing large pots and pans, you need a spray head that can reach across. The Kohler faucet turns on automatically when you pull down the spray head, and when you let it go, it retracts to the spout and turns the faucet off. The spray head has two functions available: spray or stream. It has a high quality braided nylon hose that prevents tangles and kinks. There’s a swivelling ball joint for smooth operation and minimal effort. Kohler uses a new trademarked system, DockNetik, that uses magnetic force to secure the spray head back to the spout when you let it go. Again, this makes washing up so much easier! This is perfect for those who love cooking but don’t like to waste time prepping and cleaning up. The Kohler is a high-quality faucet, with quality fixtures and fittings including durable ceramic valves. It has flexible nozzles so that you can move it around easily, and its design helps prevent mineral build up. This means your Kohler touchless faucet should last longer than other brands. BioBidet’s FLOW faucet has motion sensing technology, but what we love is that it gives you the choice between the hands-free motion sensing mode or the traditional manual mode. Hands-free means that you can only turn the faucet on or off without using your hands. There’s a control knob to control the temperature and flow, however this is not hands-free. To turn off the sensor and change the faucet to manual mode, there is a valve on the sensor box that needs to be turned. The sensor operation requires a battery, which is included. Once the battery runs out, the faucet automatically reverts to manual mode. The spray head features a tap button that lets you choose between two spray modes. Water turns on automatically when you pull down the faucet head, and turns off when you release the faucet and the head retracts back into its original place. It’s very easy to install the FLOW, and you don’t need hard wiring. You can still use the faucet even when there’s a power outage! A quick insertion method is used for installation. The faucet meets lead-free standards, and features a durable ceramic cartridge and metallic waterway. The finish itself is easy to wipe clean. The hose length is around 15 inches. The Boharers touchless kitchen sink faucet allows you to turn your tap on and off without using your hands. Simply move your hands across the sensor, which turns the faucet on and off. The sprayer head also has an on/off sensor. Pull the sprayer head down and the sensor turns on the faucet. Let the sprayer head retract back into its original place and the faucet turns off. There are two different spray modes you can choose from. There’s an automatic safety shut off which activates after 3 minutes. If you need to adjust the water flow and temperature, you can manually use the faucet to do this. The Boharers touchless kitchen sink faucet comes with quality fixtures and fittings and is easy to install. It’s made of solid brass with a brushed nickel finish. The ceramic disk valve is drip-free. Included with the package is the faucet, installation hardware and instructions. Installation is easy with the quick connect system. Only a single hole is required when installing, however a base plate is also included for 3-hole applications. It has copper supply lines and 9/16” fittings. Also included are 4 AA batteries that are required for the sensor to work. The faucet is UPC listed and NSF certified. When choosing the best touchless kitchen faucet for your home, you’ll need to consider the design and style of your kitchen. A kitchen faucet is used multiple times daily, so it’s important to choose a faucet that will last a long time. We’ve used faucets that only last a year and it’s a pain to replace, not to mention costly. We recommend investing money to purchase a better quality touchless faucet.